Voicing your opinion to your local elected officials is an important part of ensuring that climate action planning is occurring in your community. 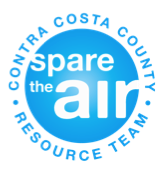 There are over a million residents in Contra Costa County. If just 1% of us chose to attend just one city council meeting, 10,000 voices would be heard! Imagine if everyone attended just one city council meeting per year….how different local policy might look!